It is December and we are almost at the end of 2017, so I figured I owed you all a big update on makings! I have certainly been making, however I have been woefully remiss in my blogging. Since finding instagram, it's been easier to keep a record of makings simply by take photos and writing short blurbs, rather than writing larger blog posts. This year has also been a very busy year; working on the business, Cocooned, having two kids in kinder over 5 days a week and one little one in school, I've barely had time to catch my breath. I ended up making 6 objects for KOGO (Knit One Give One) for the great Knitaway. I didn't quite reach my goal of 10 new patterns I'd not tried before, however I was happy with this achievement and was glad to donate these 6 items back in May this year. 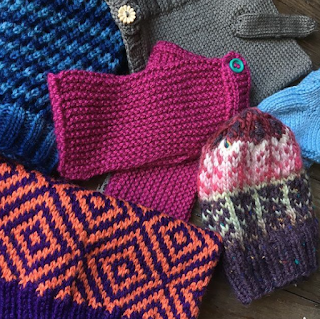 Clockwise from bottom left they are; The Pātiki Cowl by Francoise Danoy, The Yarnster Hat by Shannon Cook, Alyssum Fingerless Gloves by Megan Eliza, The Rudy Rabbit hat [not on ravelry, see picture], Baby Uggs by Autumn Street and lastly The Boreal Forest Hat by Renée Callahan. Recently, I also made a handful of crowns for the KOGO Christmas Appeal where they pack and give a large amount of gifts to kids who are in need at Christmas time. 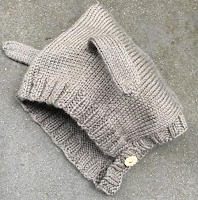 The pattern is Circlet and is free on Ravelry. A yarn bombed tree raising money and awareness for childhood cancer during September, childhood cancer awareness month. I have left it up to continue to raise awareness and also funds. I had help from some wonderful people who donated yarn, time, squares and hexagons to make this tree happen. I thank them all again for their time and efforts. You can still donate to this amazing cause via my fundraising page. All donations go to the kids cancer project who invest in science and research to help make childhood cancer history. This pattern was great for a first time sweater, I love all of the Truly Myrtle Patterns by Libby I've made thus far. Little Jumpers, Socks, Mittens, Hats, Gifts, Birthdays, New Babies, just because... there has been a lot of other knitting going on. I also did a tiny bit of cross stitch! It's actually quite amazing to look back on the year like this and see what I have actually achieved!. I don't feel so bad having left it so long now! I have been making many many more things and the best way to keep up with it all, is to follow me on Instagram. What have you been making? What has been your favourite make of 2017? Okay, here we go, I have finally decided on my big challenge for 2017. 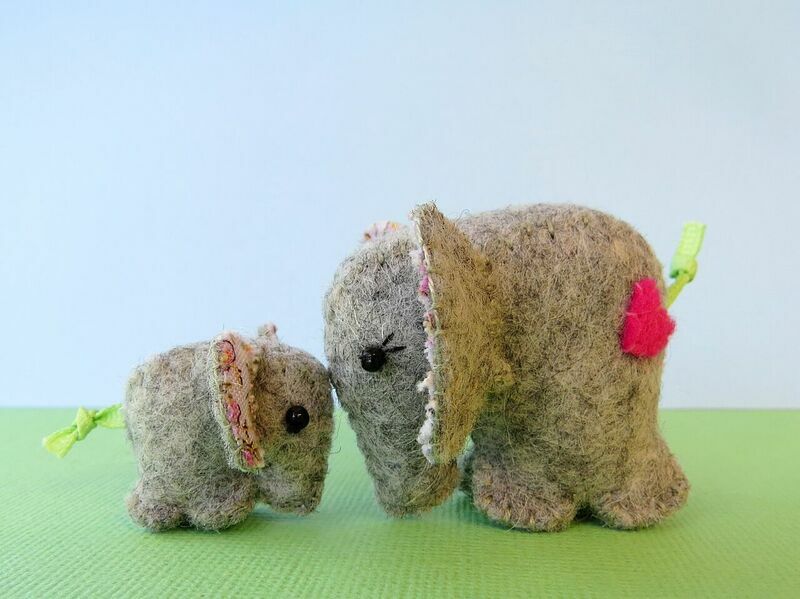 There are lots and lots of things I want to make, things for my children, family and friends. There are also so many patterns I want to try out. 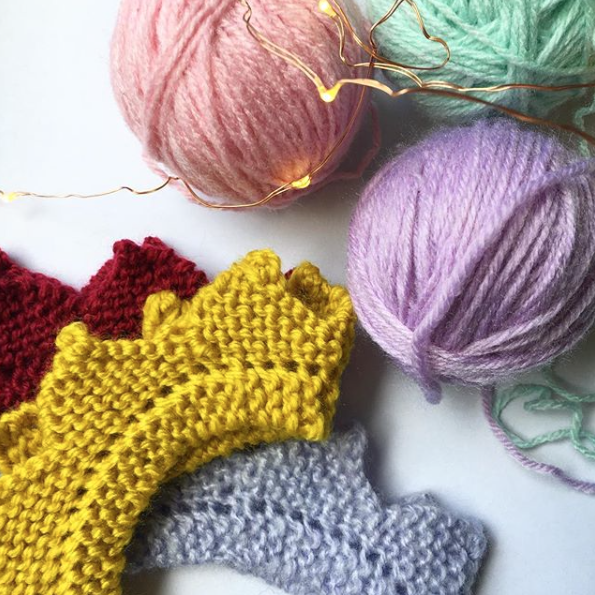 After being so very, very lucky to be gifted wooly items through the generosity in the Instagram knitting community and knitters pay it forward movement, I want to gift to those who need it most. So in supporting my favourite charity Knit One, Give One, I am going to knit 10 items on my want to knit list, and gift these to KOGO by June 30 2017. * I can't knit and gift an item made from same pattern twice! 10 different items, 10 different patterns. * I can't knit a pattern I've made previously, it all has to be patterns I'm making for the first time. * I still have to make the other items on my list, knits for birthdays, weddings etc. * All 10 Items have to be finished and delivered to Knit One Give One by June 30 2017. My plan is to make beautiful, one of a kind items that will help lift the spirits of someone I have never, and will never meet. 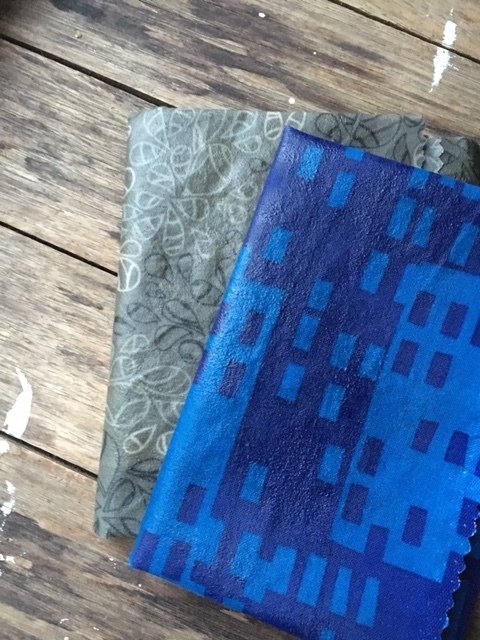 If you've been following my blog for a while, you'll know that we once received the gift of a beautiful handmade quilt from an unknown quilter at the quilters guild. It was for our little girl when she was just a newborn, recovering from her first open-heart surgery in hospital. This really had an amazing effect on our mood and outlook. We will cherish the quilt forever, so I know firsthand what a difference something handmade with love can make. Do you have any suggestions? Any patterns that have caught your eye? Please let me know! I have been making, and no, I haven't been blogging, not here anyway! I've had many distractions this last few months, one major one being the business my husband and I are setting up called Cocooned. After caring for our daughter in hospital, having had two open heart surgeries and numerous other surgeries, it became apparent that dressing your child under these circumstances is extremely difficult, and so, we designed clothing that will help families in this situation. We're still working on the design and should be moving into manufacture soon (fingers crossed). So as well as making things, designing clothing and doing 'business stuff' I've also been over at the Cocooned blog, blogging about support for families who are caring for their child in hospital. Boy have I been making though! What have I been making? Well, I have recently knit my first pair of socks!! 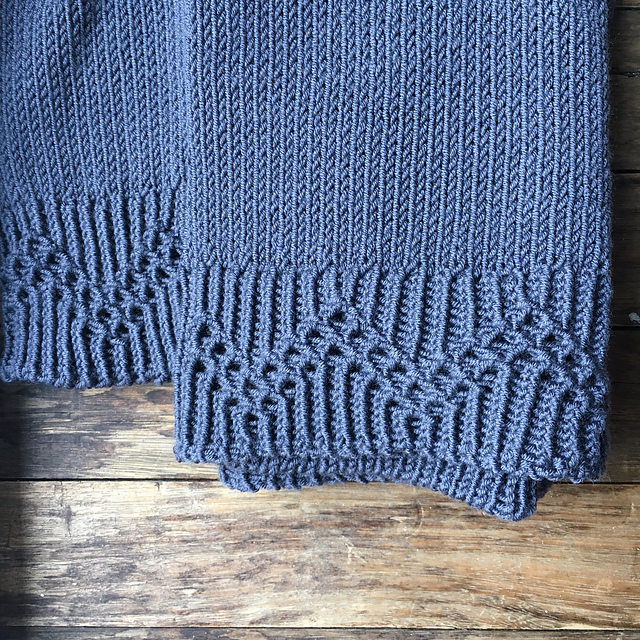 Oh my gosh, that was terribly exciting, so exciting I've since made a second pair and am chomping at the bit to make a third! I've made a stack of little cup cosies to support Tuberous Sclerosis Complex (TSC) research, You may remember my post on Mel's Hats for Aleshia campaign. Well now Mel has a new campaign called Cup of Hope. Make sure you are following her on Instagram so you can get your hands on one of hers (or my) cup cosies. A fantastic stocking stuffer and a great cause to support. I've made my own pattern in 8ply (DK) yarn and when I get the opportunity, I will pop it up on the blog. Other makes... Baby blanket for an adorable new little man, an octopus, mittens for Lion and the Snail, a tea cosy, as well as a little (mini) faux taxidermy triceratops and a giant doughnut (really should have photographed them side by side)! My design is a smaller version. 8ply on smaller needles. My own baby mitten designs! Mini mini Faux taxidermy Triceratops! Yipes, it's all very knitty, isn't it?! I do have some sewing projects I really want to get to, Mum and I did make some sewn fish together (to become Christmas decorations) that was fun. I did made a monkey 4th birthday cake too. Plus, thanks to the CWA, I got myself a new crafty skill. Japanese braiding or Kumihimo. Seriously, a big handmade challenge for 2017, any ideas? Using eco friendly, reusable items and living a more sustainable, less packaged existence, has not only had an impact on our immediate family, but also extended family and friends. I've had a lot of people asking me how to make something, or where to get an item from, or how they can make it themselves. So I decided to come up with a Handmade Sustainable gift pack. A pack full of goodies that I have made to gift to people for housewarmings, birthdays, or whenever! All the items are easy to make, and are not only a great gift, they are also a great talking point. When you gift these items, it gives you the opportunity to not only explain how they work, but also make people more aware of the disposable way in which we currently live, and introduce a way of reducing their waste and living more sustainably (without freaking them out or lecturing them!). 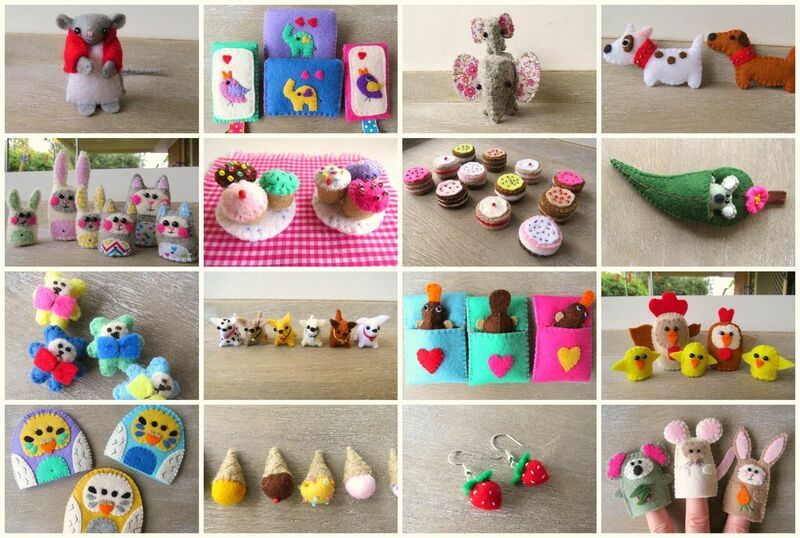 I have made all of these items, and blogged about them previously, follow the links to find out more on how to make each one. My pack includes; A cotton bread bag (made from a 100% cotton tea towel). 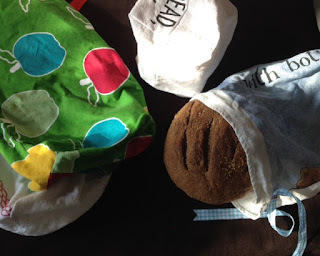 Three felted dryer balls, and two reusable beeswax wraps. Your friends and the environment will thank you! These are the items I included in a gift pack, however you include any number of things. Items that you might prefer to make, or already make. Items such as shampoo bars, a pot of flowers, or even herbs, in a handmade pouch (as pictured). Even a few good old handmade handkerchiefs! There are a myriad of possibilities. 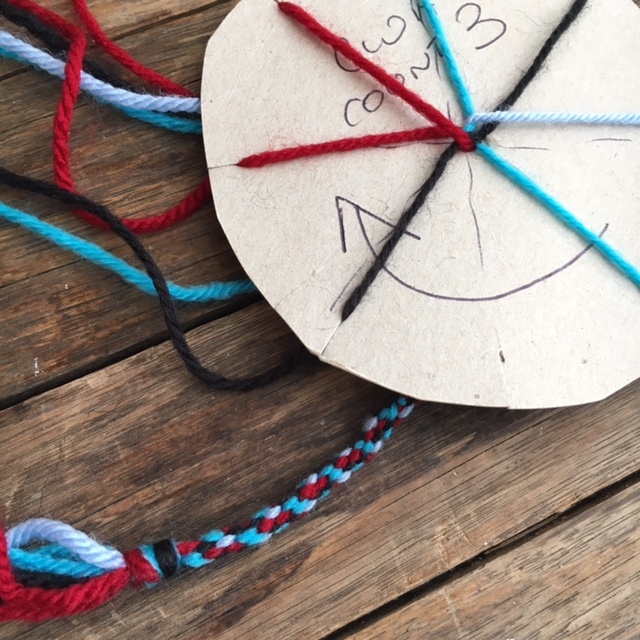 What items would you include in a handmade sustainable gift pack? 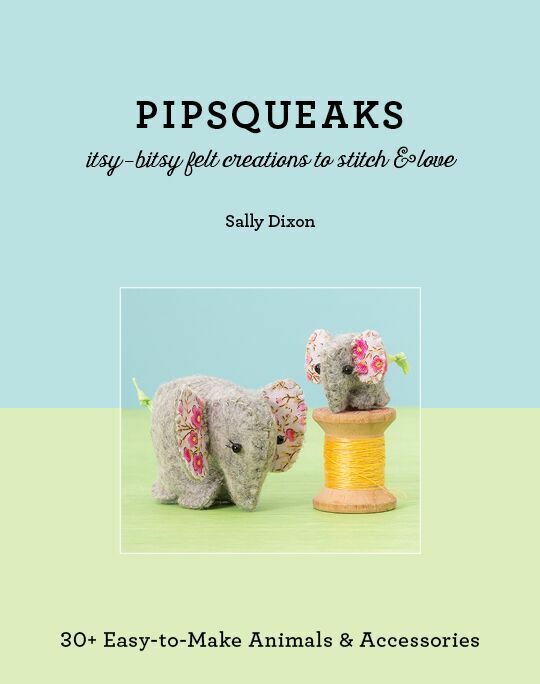 I am very excited to be a part of a world-wide blog tour for Sally Dixon's new book Pipsqueaks ~itsy-bitsy felt creations to stitch and love. I am also excited to be able to have a digital copy of the book to give away! Details at the end of this post. Sally lives in South Australia, and originally trained as an early childhood teacher. 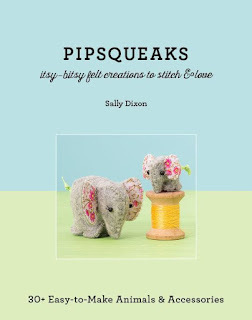 As well as having created this book full of tiny patterns, she also makes them to sell in her online Etsy and Madeit stores ~ Sally Dixon Creations. Sally set me a challenge to go along with my review (how can you review something without trying it yourself?!) The challenge was to make three items from her book, one from each chapter; Somewhat Pipsqueak, Perfectly Pipsqueak and Utterly Pipsqueak. I actually had fun making these three little fellas. You'll note I said 'actually', as I was concerned that my sewing skills would not be up to the task, however it turns out, they were! If I can make them, it bodes well for anyone to give it a go. The ice-cream was my favourite! For this review, I was provided with a digital review copy of the book Pipsqueaks, from C&T Publishing. Sally's introduction provides a comprehensive list of all the techniques and items you'll need to make all 30 + of these tiny creations. Each project is set out step by step with images as well as written instructions. This makes it very easy to follow and complete. I think there is something for every skill level here, and I'm pretty sure my 10-year-old self would have adored this book during the school holidays! I like a book I can physically get my hands on, especially when it comes to crafting. Getting around an e-book is still a bit New World for me! I did compromise and print out the pages for the ones I made. Perhaps some alternative suggestions for embellishments when you don't have beads or other bits like mini pom poms on hand. There are a few general ideas in the introduction, however a few gentle reminders or suggestions for each project would have been amazing. A #hashtag for sharing images of completed creations. I'd love to see what other people have made and how they interpreted the patterns. 12th May 2016: My Handmade Adventure - Karen Wasson (Melbourne, Australia) - You are here! Now with thanks to Sally and C&T Publishing, you too can be lost in an itty bitty Pipsqueak world. 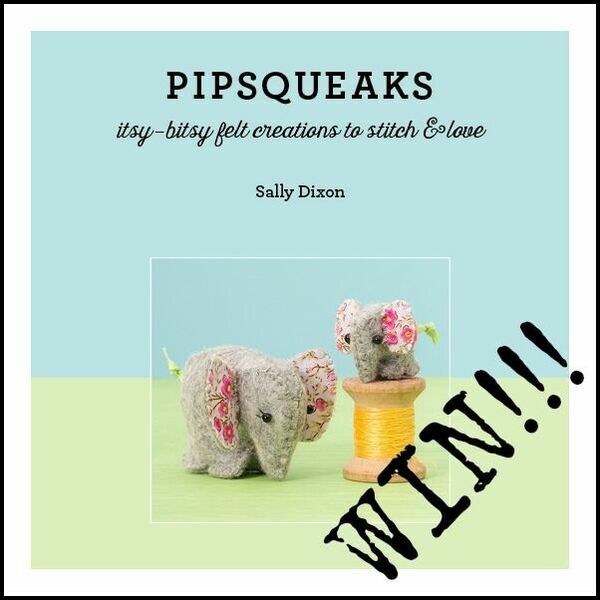 All you have to do to be in the running to win a digital copy of Pipsqueaks, is leave a comment on this blog post. Competition closes on Monday 23rd of May 2016 when a winner will be drawn at random. This cake I made for Arthur's first birthday (2 and a half years ago) has been quite popular from my previous post. So I thought I'd give it a bit more attention by adding a little 'how to'. It is a very easy cake to make. You can make whatever flavoured cake you choose. For this one, I made one of my favourites, an apricot chocolate chip cake. Yum, it's a good one. Some hot air balloon cakes use a square basket (cake), I found the round one to be just as simple and perhaps a little more appealing. To decorate the basket I used a simple chocolate buttercream icing then placed the raspberry milk chocolate coated bullets as shown to get the basket weave effect. You can use liquorice, again it all depends on the flavours you like. I dug a small hole out of the top of the cake and filled it with smarties and the candle. Under the paper straws, I placed bamboo skewers. I was able to dig these into the cake to keep them in place. At the top is a paper lantern. You can get these in every colour under the sun and I think it has a nicer effect (and is reusable and better for the environment) than a rubber balloon. Also, when you light the candle underneath, you're not going to have melty poppy balloon issues! I think it's my most favourite kids cake that I've made to date. Quite possibly the easiest too. Have you ever made an easy, yet effective kids cake?! It's taken me a little while to get around to blogging about this one. In fact I had the whole kit made and gifted in February... only 2 months, I guess that's not so bad! You may (or may not) recall, for Felix's 4th birthday last year, I made him a toy stethoscope and doctors kit. One year later, the original stethoscope was well and truly on it's last legs, so I decided it was time for an upgrade. I got together some felt, ribbon and a headband. Putting it together was fairly straightforward, if you'd like some more in depth instructions, I based my design on this tutorial. Sewing this time. No knitting in sight, and perhaps a better choice. The cardboard box I originally put the kit in had seen better days too. Now on my sustainable path, I came up with a solution using things I had around the house. A lunch bag we weren't using for lunch, and some felt, has made the perfect (sturdy) doctors bag. It's been able to take a beating so far, with no signs of wear, as opposed to the original cardboard box, which didn't really stand up to the rigours of a child doctor! I am very happy with these results, and am hoping I won't need to be revisiting another doctor's kit on his 6th Birthday! What have you repurposed into an awesome kids toy?